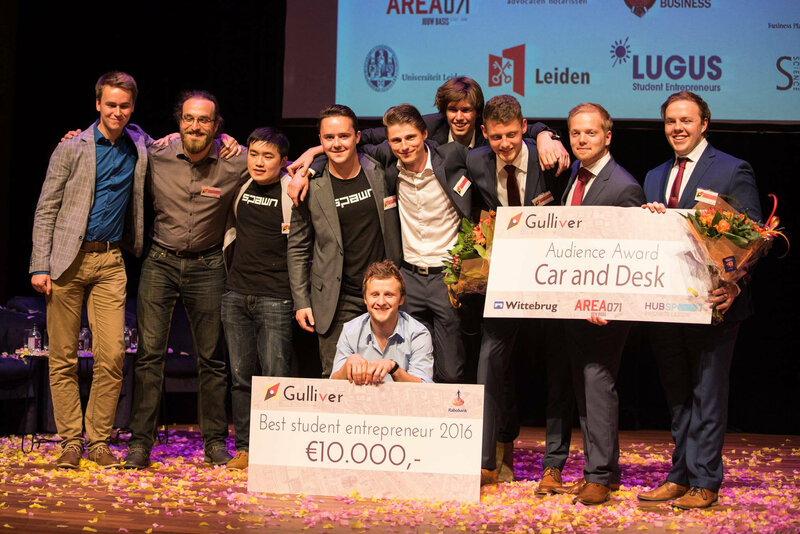 In order to stimulate new entrepreneurship Gulliver organises an annual competition among young entrepreneurs in Leiden. We believe that the three most important factors for the success of a new enterprise are speaking to the right people, gathering and processing valuable feedback and attracting the right amount of funding. By joining the competition as a young entrepreneur you get access to a vast network, organised and ad-hoc feedback and the possibility to win €10.000,- to develop your new enterprise. “By failing to prepare, you are preparing to fail” is a famous quote by Benjamin Franklin. At Gulliver we believe that setting goals is important and therefore participating in the Gulliver competition starts with setting your personal goals for your enterprise. In a private conversation with experts you go into the core of your plan and set up both short-term and long-term goals. The goals set in this stage are used in the matchmaking process and later on during the judging of your progress in the semi-finals and the grand final of the Gulliver competition. The three most important factors for building your new enterprise are speaking to the right people, gathering the right feedback and attracting the right amount of funding. During the second phase of the competition we help you to do exactly that. Gulliver is not a school where we learn you how to build your enterprise, but Gulliver is your gateway to all the information, network and resources you need. Money is an important resource often missing in start-ups. Gulliver therefore grants the most promising new enterprise of the year a cash grand prize of €10.000,-! Gulliver is about progress, joining the competition early on and building your enterprise with the use of our network therefore ensures that the judges can see your progress and will improve your changes of winning the grand prize. *Young entrepreneur in Leiden, but don’t fall within the criteria? Contact us and maybe we can make an exception. – You are a student at an educational institution in Leiden, The Hague or you have finished your education there in the past two years. – You have a plan, company or the aspiration to become the new Elon Musk. – You are motivated and willing to go the extra mile. – You are interested in meeting new people and looking for the best way to improve your business. Do you fulfill all the requirements? Then join the Gulliver competition! Please fill in the form below and we will contact you as soon as possible! Please use the message section to shortly describe your idea/venture. Hand-in requirements can be found here.